Only in Vancouver would there even be the slightest hint of opposition right off the bat from locally elected leaders to the idea of a major worldwide tech company establishing its second headquarters in the city. In fact, it is an embarrassment to Vancouver’s business community. During the Vancouver City Council meeting on Wednesday, Adriane Carr, the only Green Party councillor, expressed her highly premature concerns over the city’s bid to become the home of Amazon’s second headquarters and the potential impact, specifically any negative aspects, if the bid overcomes all odds and is successful. Carr pressed on, asking why the bid was not in the agenda on the “first opportunity” as bids are due on October 19. She also inquired about the impact it will have to housing affordability, brick-and-mortar small businesses, and transportation. But Mayor Gregor Robertson clarified on the City of Vancouver’s current role on the bid, as it is currently being led by the municipal government’s Vancouver Economic Commission (VEC), which is responsible for seeking new economic and job opportunities. 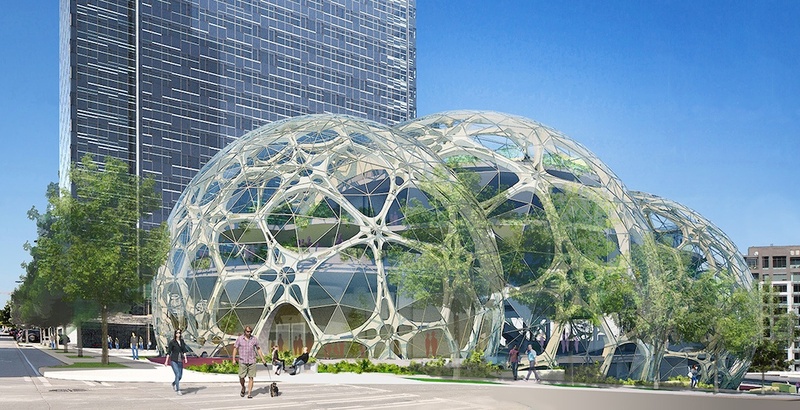 Although the scale of Amazon’s proposed headquarters is off the charts, VEC’s role centres around lobbying and putting together such bids for investments and offices, whether it be Sony Pictures Imageworks relocating its global headquarters to the Nordstrom building in downtown Vancouver or Lucasfilm’s Industrial Light & Magic studio in Gastown. Most major cities and regions have similar agencies and organizations that perform the same sort of work on behalf of the municipalities they represent. “This fits completely the scope of what the VEC does and I know there was a meeting convened with various stakeholders including Metro Vancouver as the scale of this bid clearly has more regional context to it,” said Robertson. City manager Sadhu Johnston added that “the scale of the bid clearly has more regional context to it” so VEC is working with other stakeholders including Metro Vancouver Regional District and other municipalities like Surrey. Efforts in rallying the international business community are supplemented by other entities like HQ Vancouver, a recently formed agency by the federal and provincial governments and the Business Council of BC to attract major international firms to the province. So why is it so important that VEC takes lead on this bid? It removes needless political interference on the proposal and as Carr mentioned herself, the timeline is extremely short. Amazon announced its request for proposals (RFP) process on September 7, which provides prospective cities just six weeks to research, rally stakeholders together, and formulate a bid plan for submission before the deadline. There is zero time for a full analysis of the positive and negative impacts, and knowledge of such a City-led study, any inkling of a hesitation, at this stage – as if it is the only city being considered for the headquarters – would almost immediately disqualify Vancouver. Vancouver needs to move quickly if it wants any remote chance in landing the headquarters, and a process that involves City Council and its snail-pace procedures and protocols at this vital and highly competitive stage is anything but. Almost every major urban region in Canada and the United States has stated their interest in submitting a bid. Within Canada, this list includes Toronto, Calgary, possibly Montreal, and even Halifax. But Carr’s glass half-empty attitude is not helping, and almost assuredly counters the common train of thought of virtually every prospective city with a solid chance. Carr’s seemingly focus on the negative in Council – particularly on the impact on housing and transportation – is astounding. Amazon has stated that its second headquarters will employ up to 50,000 people, with average salaries reaching over $100,000, within a new $5-billion office complex spanning up to 8 million sq. ft. Yes, these jobs would destroy Vancouver as we know it. One only needs to think of all the disposable income that will be pouring down on and suffocating local businesses as well as the corporate philanthropy and sponsorship dollars that will spoil major public events, sports franchises, and the arts community including theatres and museums (look at the support the Vancouver Art Gallery has received from Microsoft since it moved into the Nordstrom building). 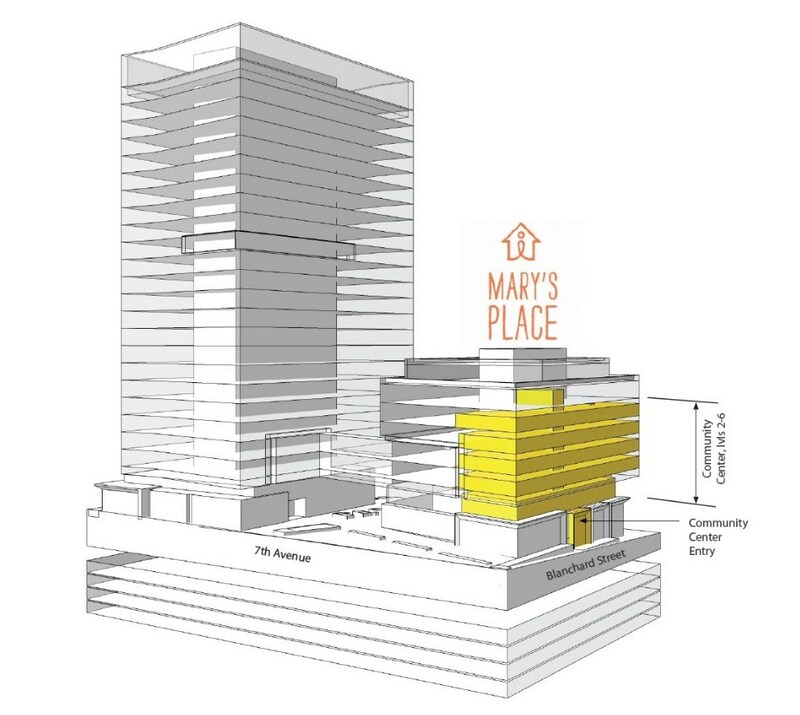 Not to mention that earlier this year, Amazon announced plans to build a 200-person, 65-unit homeless shelter within the upper levels of one of its new office buildings in downtown Seattle. And forget about all those tech businesses, including Fortune 500 companies, that will be lured to the city as a direct catalyst of Amazon’s presence and investments. The number of Fortune 500 tech companies in Seattle rose from seven in 2010 – when Amazon moved to downtown Seattle – to 31 in 2017. 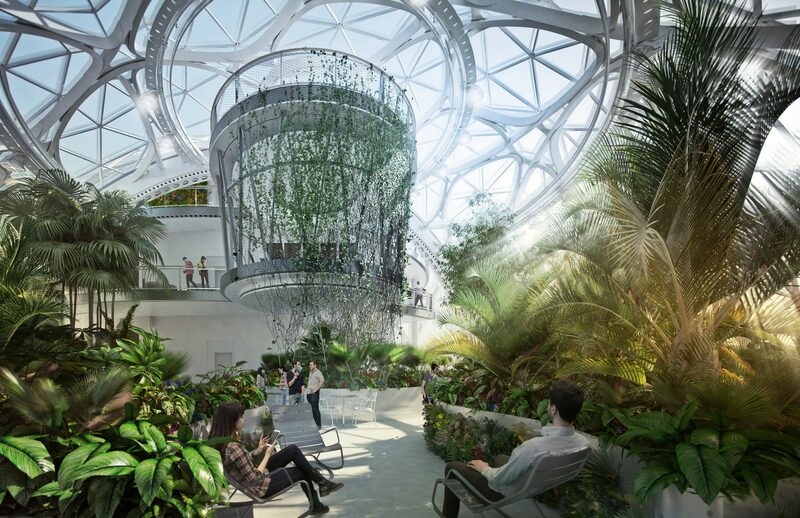 Also, Amazon has no plans to plop a new gargantuan headquarters overnight; while it plans to commence the construction of its first phase – a 500,000 sq. ft. office building – in 2019 in the selected home city, the entire headquarters will be built over multiple phases spanning over a timeline of nearly two decades. There is plenty of time for Vancouver to adapt to and learn from the current housing affordability crisis and Seattle and San Francisco’s self-inflicted mistakes in dealing with their own housing situations, and that revolves almost entirely in their failure in increasing housing supply to properly respond to market demands. Perhaps this amounts to the prevailing ineptitude of BC’s BANANA (Build Absolutely Nothing Anywhere Near Anything) counterculture that fails to think about the big picture and engage in a truly competitive spirit when it comes to big business and economic growth, and the generational differences with older generations that are highly content with maintaining the status quo lifestyle bubble geared only for tourists and the already settled and well-off. Other groups are seemingly sheltered, perhaps even business illiterate, and not open to the global business community. The reality is Vancouver needs a real anchor industry, and young people need well-paying jobs to survive in this city. There are many obstacles and challenges with creating a Vancouver bid that would be competitive over Toronto and many American cities, but if successful it would revolutionize the city’s economy by elevating the tech industry into becoming the region’s predominant industry over speculative real estate and tourism. 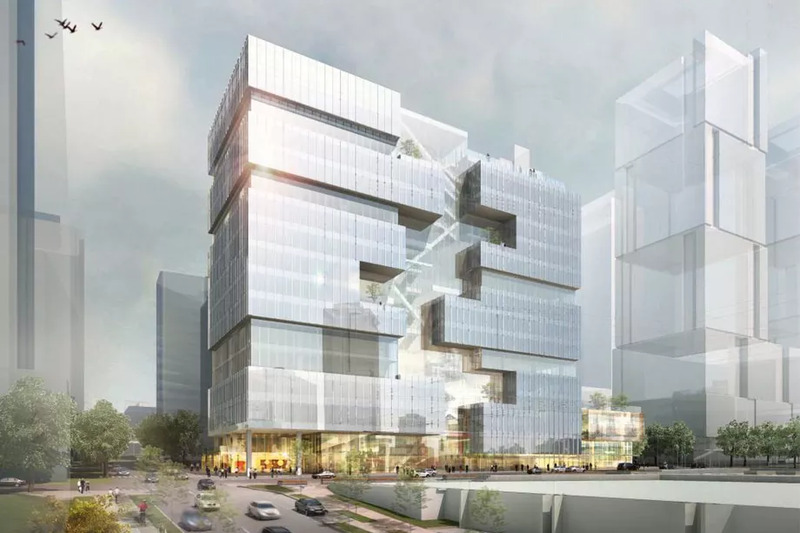 Even if the city does not land on the headquarters, the bid exercise will prove to be a useful message to other international businesses that Vancouver’s business climate is far from moribund and is willing to play the game to get ahead.